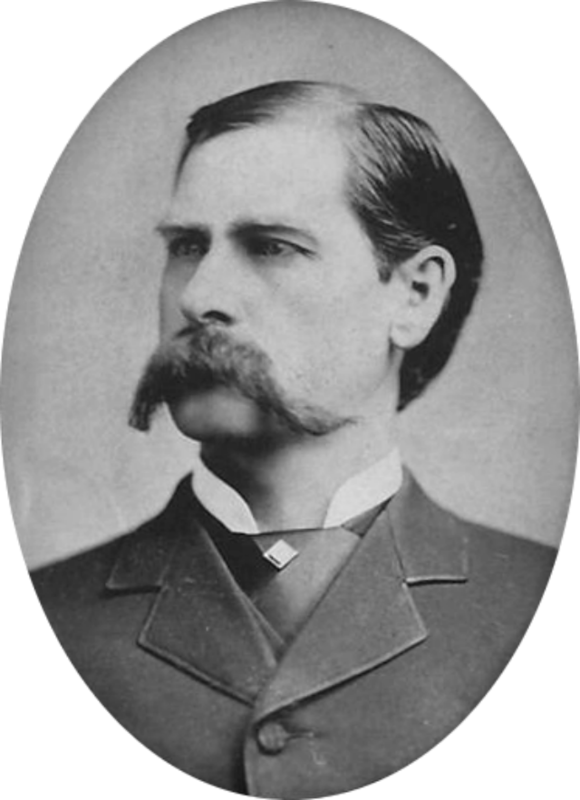 Old West icon Wyatt Earp’s Tombstone is, of course, legendary—but his actual tombstone has a lot of stories to tell, too. 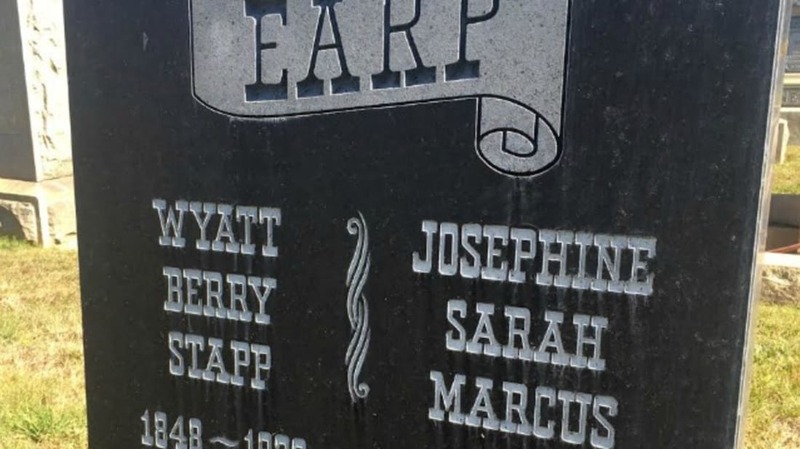 Most Wild West fans will be surprised to learn that Earp is buried not in Tombstone, Arizona, nor Dodge City. Instead, his final resting place is at the Hills of Eternity Jewish cemetery in Colma, California. No, he wasn’t Jewish—but his last wife was. Upon his death in 1929—not because of a shootout, but due to complications from a urinary tract infection—his wife, Josephine, had him cremated and buried in her family plot, which she was a bit secretive about. When she died in 1944, very few people knew of Wyatt's whereabouts. But someone must have known, because the original tombstone was stolen shortly after she died. In 1957, the Tombstone Restoration Committee expressed interest in having the legend's ashes moved to Tombstone, Arizona, to attract tourists—but no one seemed to know what had become of them. After many inquiries, Arthur King, one of Earp’s deputies, revealed the location of his former boss's urn: the Hills of Eternity Jewish cemetery in Colma. Actor Hugh O’Brian, who played the title role in the TV show The Life and Legend of Wyatt Earp, offered a reward for its safe return, but no one claimed it. The stone was reportedly found several months later in a clump of bushes on a roadside in San Bruno, California—only to disappear again, possibly removed by cemetery officials to prevent further theft. The current marker, much larger and presumably harder to steal than the first two, was placed in the late 1990s. 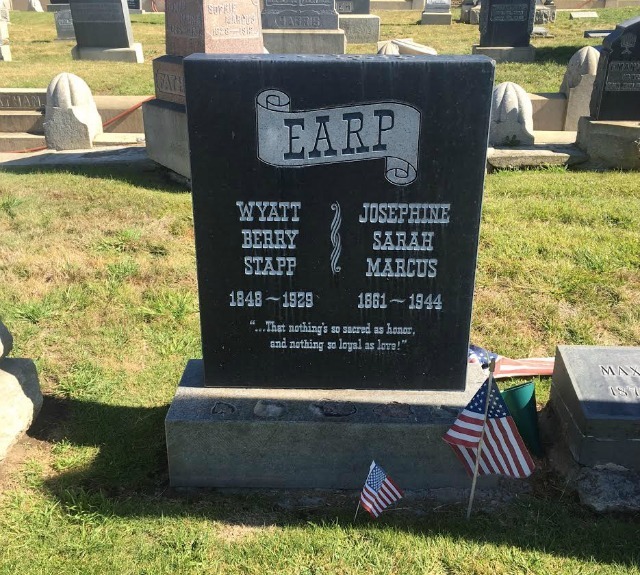 Whatever the cemetery is doing to prevent it from being stolen seems to be working—or maybe people have just decided that stealing from a legendary lawman is a pretty bad idea.